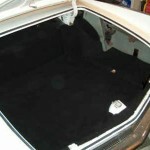 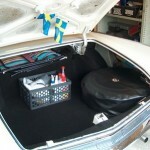 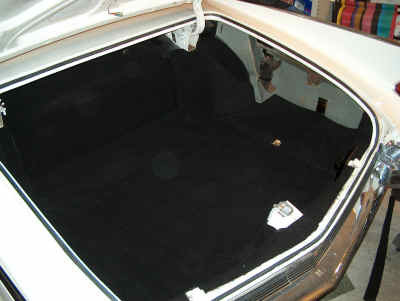 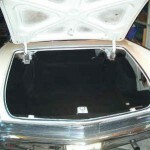 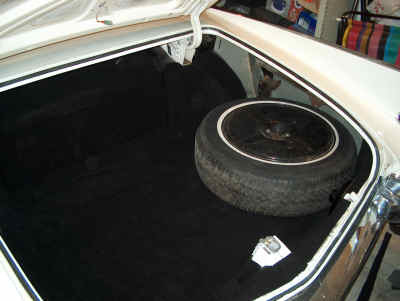 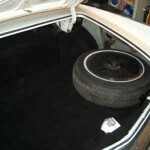 As my trunk cover and interior urgently needed a freshening up even if temporary (as I couldn't get hold of a trunk cover that I liked) I settled for a black felt material specially made for car trunks at the local floor cover/carpet shop. 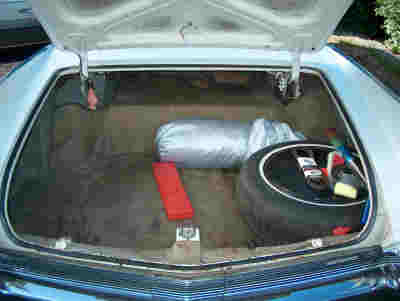 OK not the classic car look but my old one was in BAD condition and I must have something for the upcoming summer cruising. 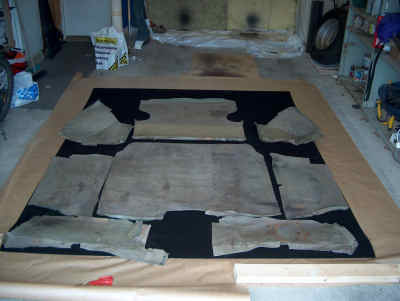 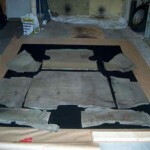 I used the old carpets as templates and laid them out on the garage floor, cut them according to the old ones, no big deal at all. 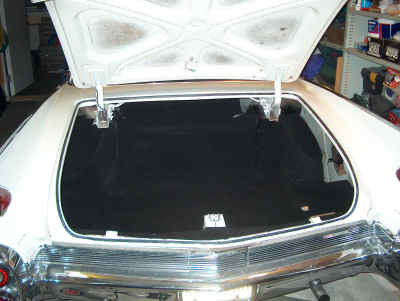 Then I contact glued them (only around the edges) and installed them into the trunk and below you can see the process from as it was before and through the job of fitting the new ones. 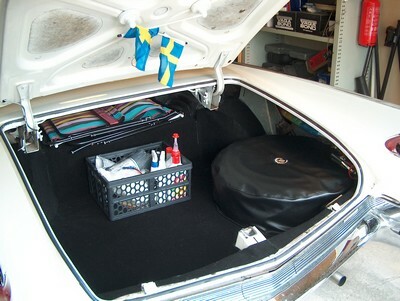 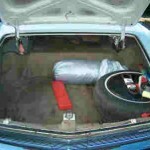 When coming over some more good-looking trunk carpet in the future I will probably change, but this is how it will have to look for the next summer cruising.